Like any family matriarch, Cassandra Barrett sometimes knows things her three kids and her husband, Christopher, may not. It’s the job of a mother to know things about them, things about herself. Things best left to the last minute, to blurt out and have the fast approaching reality concerning this or that, cushion the blow. In this two act drama, a few weeks after Thanksgiving, the Barrett kids will be paying their parents another visit. Alan, the somewhat spoilt baby, Alexandra, the neurotic daughter and Arthur, the very reserved, eldest son, impending visit is suspicious to Christopher and his suspicions fall squarely on Cassandra in this American drama play. It’s a reunion that may never happen with the entire family again and Alexandra is determined to make it count. She suggests a memory jar that the family can work on to make a record of the best times they shared together as a unit. 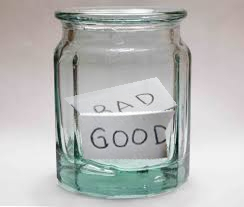 With the hospitalization of Christopher smack in the middle of the reunion, a memory jar might not be such a bad idea. A story of loss and how to prepare for it. “The Memory Jar,” was produced by Theatre 29 in Twentynine Palms, California, in 2012. Ages of the actors: All adult, the youngest in his twenties. The rest are each a decade apart with the eldest actor in their eighties. Suitable for : All ages to watch but written for adults. Adults to perform. Set: The kitchen/family room of the Barrett family home in Deseret Valley. A small dining room table and chairs dominate the center of the room. To stage left sits a refrigerator, sink and stove. A window over the sink looks out over a desert garden. There is a frying pan on the stove. Next to the sink a strainer holds some dishes, including a cereal bowl, some silverware and the pieces of an old-fashioned coffee percolator. To stage right is a doorway leading to bedrooms. Upstage is a front door. To the left and right of the door are cabinets. The cabinet to the right is decorated with souvenir plates from around the country. The cabinet to the left is covered with Barrett family photos. A ceiling fan spins slowly overhead. A hat rack directly left of the front door holds several trucker caps. There is a cordless phone on the table. Level of difficulty: 7/10 – portraying the real raw emotion involved with a family death. Cost is $6.50 for this previously staged digital play script.